UNIVERSAL CREDIT - what's been announced? The new harsher UC Two Child Limit rules due to start 1st Feb 2019 are now not being implemented - rules stay as they are. Many of you will be aware of the huge drop in income some disabled claimants can experience if they make a new claim for UC. Following a successful challenge in the High Court last year, and the subsequent proposed amending Regulations to prevent this loss, we finally have the confirmation that we have been waiting for.......the new Amending Regulations cite 16th January 2019 as the coming into force date. This means that from 16th January 2019 anyone who has the Severe Disability Premium included in their Income-Related Employment and Support Allowance, Income-Based Jobseekers Allowance, Income Support or Housing Benefit assessment (or who has had it included in the previous month) will not have to make a new claim for Universal Credit. Instead, a new 'gateway condition' will prevent them from being able to make a new claim for UC and they will be able to remain on/make new claims for the legacy benefits ie IR-ESA, IB-JSA, IS, HB and Tax Credits– and will therefore retain their Severe Disability Premium. Eventually they will need to move onto UC ie they will be ‘manage migrated’ onto it, but they will then receive ‘transitional protection’, so that they do not see an immediate loss of income at the point of moving onto UC. IMPORTANT: Watch out for claimants who may not be getting the Severe Disability Premium at the point of experiencing a change in their circumstances that would normally trigger a new claim for UC - but that change also triggers the possibility of a SDP in their existing legacy benefits. These claimants will have a choice - Please see the Willow, Sophie and Mamood examples on the website - click here. Q: What about our tenants who are already on UC and have lost out? A: Many of those who have already moved onto UC under ‘natural migration’ and who have ended up worse off due to the loss of the Severe Disability Premium will also receive protection – see website for more details. These would have seen new UC claimants (who had not been getting Child Tax Credit for their children during the 6 months before their UC claim) being limited to having just two Child Elements included in their UC award regardless of when those children were born. So the 'U-turn' announced last week means that the Two Child Limit will no longer be applied to children born before April 2017, as had been the plan. Campaigners hope that this will lead to the entire policy being scrapped - which is currently being challenged through the courts. Many families are still affected by the Two Child Limit rules (see Sally and Tim below) but for many (like Audrey, and Dave and Georgia below) the 'U-turn' announced last week will be a huge relief. Background: In April 2017 the government introduced a policy of providing support through Tax Credits and Universal Credit for a maximum of two children (with some exceptions - adoption, multiple births etc). This applied to claims made for children born on or after 6th April 2017. However, an 'interim period' was set up for UC claimants. During this interim period families with three or more children have been directed to claim Tax Credits (and Housing Benefit etc) instead of UC. The plan was that once UC had been fully rolled out, and the interim period ended - families with three or more children would be allowed to make a new claim for UC - and would come under harsher rules that would have limited their award to just two Child Elements regardless of when their children were born (although with some protections in place and retaining the exceptions). As a result of the amendments announced last week, when the interim period comes to an end - on 31st January 2019 - families with three or more children will be able to make new claims for UC (and will no longer be able to make new claims for Tax Credits and/or Housing Benefit etc). But, they will be able to receive an additional amount in their UC ie a Child Element, for all children born before 6th April 2017. In other words the rules under UC will work the same as the rules have been working under Tax Credits. Click here for more information on the Two Child Limit. Audrey lives in a rented four-bedroom house with her two sons aged 11 & 8 and her 6 year old daughter. She works part-time in a local office. She does not currently receive any benefits apart from Child Benefit. In February 2019 her partner (who works full time) leaves her. Audrey makes a new claim for Universal Credit. Had the rules come in as planned, Audrey's UC award would only have included 2 Child Elements (for her two sons), however, due to this U-turn she can now have 3 Child Elements included (as all her children were born before 6th April 2017). Georgia has two children age 12 and 10. She is claiming Jobseekers Allowance, Child Tax Credit and Housing Benefit. On 15th March 2019 her new partner, Dave and his 8 year-old daughter move in with them. Dave works full time and he has not been claiming any benefits, apart from Child Benefit. They make a new claim for Universal Credit as a couple. Had the rules come in as planned, their UC award would only have included 2 Child Elements, as the children are 'ordered' by age, making Dave's daughter number 3 - but because she would have been neither protected or excluded they would not have been entitled to a Child Element for her. However, due to this U-turn they can now have 3 Child Elements included (as all the children were born before 6th April 2017). Sally and Tim have three children – two girls age 6 & 4, and a boy age 8 months. In May2019 they move home into a new Local Authority area. Tim has been looking for work and claiming Jobseekers Allowance, but the move means their existing HB claim ends and they make a claim for Universal Credit instead. Like their existing Child Tax Credit award, their UC award will only include 2 Child Elements as their third child was born after 6th April 2017 and does not fall under any of the exceptions. The U-turn, makes no difference to their UC assessment. 'Managed migration’ is the final phase of the rollout of Universal Credit, when the DWP will contact those who are still claiming legacy benefits and 'invite' them to claim Universal Credit instead. Last year the government announced that they would be running a 'managed migration' pilot with just 10,000 claimants between July 2019 and June 2020. And they had some proposed Regulations ready for Parliamentary approval on how the managed migration process would then follow on from the pilot and how it would work. Last week they announced that they will be going ahead with the pilot, but will hold off getting Parliamentary approval for the Regulations until after outcomes from the pilot are known and can be considered. Full' managed migration' will start on a small scale to begin with - expected to start November 2020 - scaling up over time, and the government are still committed to meeting the target date of Dec 2023 to have everybody moved over onto UC! Click here for more information on Managed Migration. This High Court decision is to do with the way UC is assessed for working families - but could impact on all working claimants. Sometimes a UC claimant's monthly award can be based on two month's wages (with the following assessment) being based on no wages at all. This can happen when the claimant gets paid a wage early due to their normal payday falling at the weekend. BUT this can mean that overall they are worse off - as only one earnings disregard (or what the DWP call work allowance*) will be applied across the two wages. *The work allowance is the amount of earnings claimants with children or with limited capability for work is ignored before their maximum UC award is reduced at a rate of 63p per pound of net earnings. This is a problem which has affected many working claimants and has been widely reported in the press. Not only were they losing out financially, but the fluctuations in their Universal Credit awards were also causing cash flow difficulties, leading to them falling into debt and, for some, having to choose between paying their rent or paying their childcare costs. BUT the UC Regulations do allow the DWP to allocate a wage to a different Monthly Assessment Period. And indeed, the Court found that, correctly interpreted, the Regulations mean the DWP can and should adjust its calculation of Universal Credit awards when “it is clear that the actual amounts received in an assessment period do not, in fact, reflect the earned income payable in respect of that period”. We hope that this will eventually mean that wages will be allocated to the Monthly Assessment Period in which they would have normally been paid, rather than to the Monthly Assessment Period in which they were received. Please see our standard letter UC HM5 which argues that the wages should be taken as received on the claimant's normal pay day! Click here for more information. The DWP now either have to issue guidance to staff on the manual interventions that will be necessary to implement this decision - which affects not just single parents but all working claimants - or appeal it! Theird ecision is expected in the next few weeks. NOTE: Free School Meals........where a UC claimant's earnings in a Monthly Assessment Period have dropped below £610- then they are able to apply for Free School Meals for their children, and once awarded, their child/ren will remain entitled to Free School Meals up until the end of their current level of education even if the parents income increases or they come off UC altogether. Click here for more information. 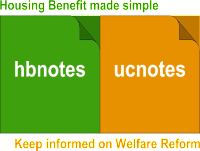 NOTE: UC reclaims........where a UC claimant's award drops to nil, their UC claim should be closed down - meaning they have to make a reclaim for it to ensure payments continue. We understand that no formal system was in place to ensure this happened - but that due to recent system improvements, it will now generate a 'to do' to DWP so that these claims are closed. Meaning claimants will have to make a reclaim if they want any future entitlement they are entitled to - click here for more information. Working parents who have to pay for childcare in order to work can have a Childcare Costs Element included in their UC award when it is assessed. UC claimants starting work are currently able to receive help from the Flexible Support Fund with their upfront childcare costs in order to help them secure / start employment. But this was not generally known by claimants. Last week's statement by Amber Rudd made sure claimants are aware of this help - she said 'Therefore I’ve instructed jobcentres that if the initial month’s childcare costs prevent a claimant from starting work, the Flexible Support Fund should be used to help smooth the transition for this priority group'. There is no further information yet on what this may actually mean for the time limits on reporting childcare costs - but presumably guidance will be being issued to DWP staff! DWP will be running a pilot to look at how they can promote more frequent payments. A landlord portal will be made available for private landlords. They will investigate how they can ensure more UC payments go to the main carer of the children. Universal Credit is paid as one lump sum into one account nominated by the claimant/s. DWP are beginning to accept that this payment structure penalises women. Amber Rudd announced that they are therefore going to look at how they can ensure any UC payment goes to the main carer of the children and hope to make changes later in the year..
Amber Rudd's speech is available here. We are a company dedicated to sustaining tenancies and combating poverty by providing housing professionals with the resources they need to challenge benefit decisions and take on the challenges ahead.